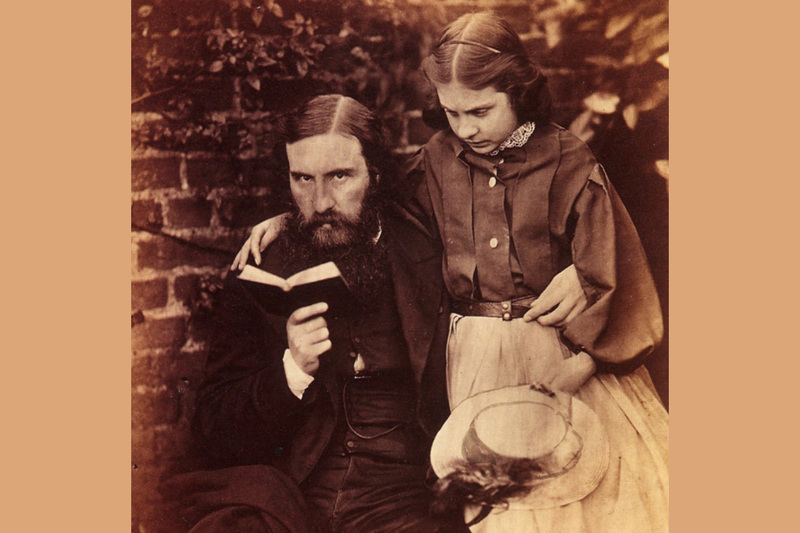 George MacDonald (1824–1905) isn’t widely known today, but the shadow he cast over fantasy literature is vast. 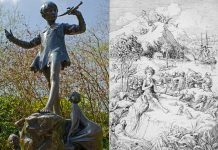 Were it not for him, Alice in Wonderland might never have been printed, The Lord of the Rings might have been very different, and The Chronicles of Narnia might never have been written. In 1858, Scottish poet George MacDonald tried his hand at prose and wrote Phantastes, hoping a fairy tale would pay better than poetry. It did. 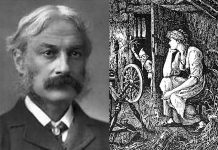 Although a modern might find the story strange, Victorian readers enjoyed its mythical elements and spiritual allusions. Other fantasies followed (The Princess and the Goblins, At the Back of the North Wind, etc. ), which were written for the childlike, not children. In his essay, The Fantastic Imagination, MacDonald said he could no more explain what a fairytale is than he could describe an abstract human face; “A fairytale is just a fairytale, as a face is just a face.” In my judgment, however, Phantastes reveals the eternal template for making a fairy tale: nature is first personified (the blossom of a flower becomes the face of a fairy, the shadowy branches of a tree become the spectral hands of a witch, etc.) and then the personifications (fairy folk) are endowed with human nature (the good, the bad, and the ugly). 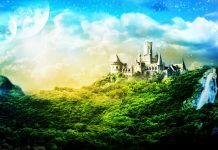 In this way, a fairy tale becomes a wonderful way for examining the human predicament. Phantastes established MacDonald as a literary figure, and he soon counted many writers among his friends. One of these was the Oxford mathematician Charles Dodgson. In a scene anticipating Raywin Unwin’s famous review of The Hobbit, Dodgson asked George’s opinion about a story he was writing. George suggested it be read it to the MacDonald children. It was, they loved it, and this encouraged Dodgson, under the pseudonym Lewis Carroll, to publish his immortal Alice in Wonderland. 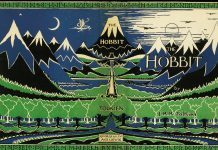 J.R. R. Tolkien borrowed ideas from many sources, and he admitted his goblins (orcs), “to some extent,” resembled those in MacDonald’s The Princess and the Goblins. One noticeable similarity is that in combat, a single goblin is never the equal of a single man; it takes a “wallowing crowd of goblins” to defeat a man-at-arms. 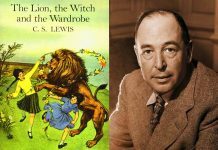 No fantasy writer, however, was more profoundly touched by MacDonald than C. S. Lewis. “The influence of Phantastes on Jack lasted . . . all his life.”[i] According to Lewis, Phantastes converted his imagination, delivering it from the perversities of medieval romance, and convincing him fantasy could convey noble, even heavenly themes. This insight ultimately led to The Chronicles of Narnia. Or, as MacDonald might have said it, how much we get out of a fairy tale very often depends on how much fairy blood we have in us. [i] George Sayer, Jack, C. S. Lewis and His Times, 57. Kenny Chumbley, a native of the Illinois prairie, is a minister, author, and publisher. He has authored one children’s story (Ol’ Pigtoes) and two fairy tales (The Green Children, the Literary Classics 2017 Enchanted Page Award recipient for best children’s storybook, and The Goblins Who Stole a Gravedigger, an adaptation of Charles Dickens’ first Christmas ghost story). 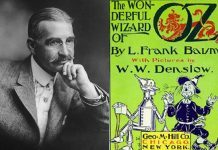 He has also written and produced two musical plays based on his two fairy tales. For information about his books or plays, contact him at kchumbley@prairie-papers.com.